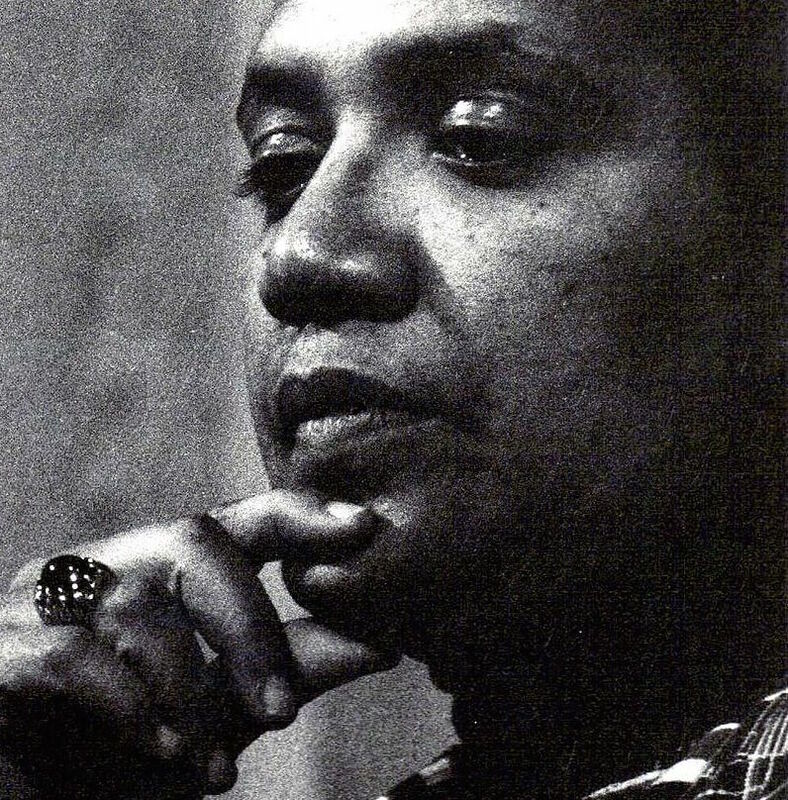 Home › Articles › Activism › Audre Lorde Thought of Self-Care as an "Act of Political Warfare." Self-care can be such a buzzword these days, but what’s often not discussed are the race, gender, and class dynamics behind the concept. When we’re expected to take care of others emotionally and physically, taking time, energy, and resources for ourselves can feel shameful. In the United States, women report higher rates of stress in their lives than men and people of color report higher rates of stress than white people—there are a lot of factors for why, including the stress of racism and discrimination. 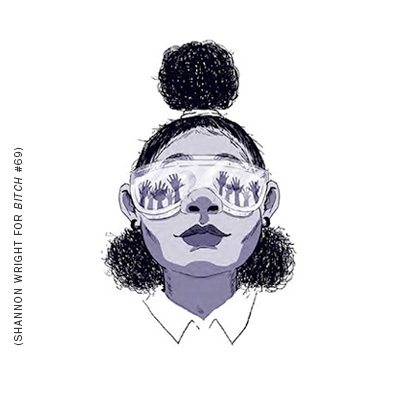 Writer Evette Dionne recently penned an article for Ravishly about how self-care is a radical act for Black women in particular. She opened her article with a quote from Audre Lorde: “Caring for myself is not self-indulgence, it is self-preservation, and that is an act of political warfare.” I talked with Evette about that concept for the self-care episode of our Popaganda podcast. You can listen the interview or read the whole conversation below. SARAH MIRK: Audre Lorde’s quote that self-care is an act of political warfare is such a powerful idea. What does that quote means to you personally? EVETTE DIONNE: I think it’s especially important because Black women are often the pillars of their community, literally, where we’re tasked with taking care of everybody in our families, taking care of people who are not in our families but are in our villages. And we’re often given the messaging that taking care of ourselves is selfish and that putting ourselves first takes away from the community. So when I read Audre Lorde’s quote, and when I actually use it on social media and just in my everyday life, what I read is that taking care of myself should be a priority, that there is nothing wrong with putting myself first and making sure that I am healthy. Because I am no good to anybody else when I am not good to myself. How do you feel like self-care is particularly a radical act and not something that’s just like a normal part of daily life? Because ordinarily, particularly for Black women, we don’t have time to take care of ourselves. Many of us are poor, many of us are working ourselves into graves, early graves particularly, and many of us put everybody before ourselves. So standing and saying that I matter and that I’m important and that taking care of myself is important is a radical act because so often, we’re expected to take care of everybody else, that we’re supposed to come last, almost as if it’s a familial expectation. And so saying that I matter, that I come first, that what I need and what I want matters I think is a radical act because it goes against everything that we’ve been conditioned to believe. Yeah, and there’s another part of Audre Lorde’s quote talking about self-care being self-preservation and survival. How do you see self-care as being tied to survival? Because health, particularly chronic illnesses like obesity, like heart disease, like diabetes, are killing Black women in droves. So when we say that our health matters and that we want to live as long a life as possible through self-care, it means that we’re going to the doctor, it means that we’re going to the gym, it means that we’re eating healthier, if that is what it takes to preserve our health. It’s all about putting your health first. So whatever that looks like, whether it’s making sure that you get annual pap smears or making sure you have physicals just because, that is literally a matter of life and death in extending your life. So do you remember the first time you heard about the concept of self-care? Yes. So I did not learn about self-care until I was in graduate school, actually, which was when I began identifying as a Black feminist. Prior to that, I had been conditioned to always work to the extreme, that you’re supposed to work until death, literally, that you shouldn’t take time for yourself, that you can basically sleep when you’re dead, is the phrase that I’ve often heard. So I learned about self-care, actually, in a Black feminist thought class when I was a graduate student. How do you practice self-care these days? Oh, it’s a lot. I mean, it’s everything from just listening to my body: when it’s time for me to go to bed, I go to bed. Even if I have work left to do, I prioritize that and make sure I go to the doctor. I go to the gym, I travel a lot, I unplug a lot, especially covering topics like race and feminism where there’s so much happening in the world that it can be emotionally draining. So I take time to unplug whenever I can. We pour a lot of ourselves and energy into communities for a reason, and there’s a lot of strength and power in communities that’s really important to respect and recognize and appreciate. So how is self-care not being selfish? How is self-care actually positive for communities? I actually recently watched a Facebook video that featured actress Jada Pinkett Smith, her mother, and her daughter, Willow Smith. And she asked her how difficult is it to be a wife and a mother and to balance that out. Jada Pinkett Smith basically said something that mirrors how I feel about self-care. “You cannot be good to other people if your health is declining. You cannot be good to other people if you’re miserable. You cannot be good to your children if you have them, to your spouse if you have one, to your job and your career if you are not emotionally and mentally and physically healthy.” So prioritizing self-care and prioritizing health allows you to be a better member of your community. And I think that is especially important for Black women when we take on so much of other people’s loads, that we make sure that we are also healthy too. I’m wondering: Do you feel like this is like a generational shift? I mean, if you first started hearing the concept self-care in grad school. I feel like I didn’t hear the words self-care until after I graduated from college. Is this something different than what our parents’ generation was doing, or has this concept always been around but had a different name? I think it’s both. It’s a both/and question. I think that self-care is not a new tactic. I think also that younger women have more options, right? Whereas my ancestors, my grandmother, my great-grandmother had to work, where when I was considering a career shift, my grandmother was adamantly opposed to it because she comes from a generation where you stay at a job for 20 or 30 years, and then you retire, and then you spend the rest of your life in retirement after having served at that one job for 20 or 30 years. So I think self-care has always existed, maybe in different forms. My mother has always been a person who takes an hour away from everybody a day just to soak in the bathtub and read. So that’s an act of self-care. But for us—and when I say “us” I mean younger women—are making it a priority. And not only making it a priority in our own lives but also encouraging other young women to do the same. And I think that is where the shift comes in. Relevant: Life Sucked in Edwardian England. So Why Do We Love Period Pieces? Shows like Downtown Abbey, Indian Summers, and Mercy Street appeal to feminist TV fans on many levels.